It’s an ergathon! 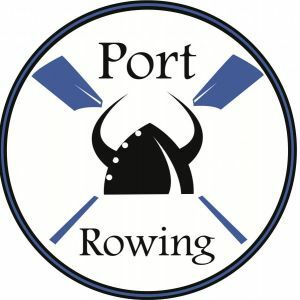 row indorrs while listnening to live musi and raise money for the Port Rowing Adaptive Porgram. Each tema of 4 will have a cumulative goal of rowing 10,000 meters. You will row “relay style” with each rower completing approximately 2,500 meters. Build a team of FOUR (can be non-rowers too). Register your team at crowdrise/com/RocknRow and start raising money for a great cause. Space is limited to 25 teams. Live music brought to you by Back to Rock. Show up on Feb 3rd and Rock ‘n Row! Weber Middle School eighth-grader Tyler Fazzari and his philanthropic movement BirthdayBack will be hosting their first indoor ergathon “Rock ‘n Row” to raise money for Port Rowing’s Adaptive Rowing Program. “Rock ‘n Row” will highlight approximately 25 teams rowing on ergs while rocking out to live music provided by Bach to Rock. Funds raised can help purchase specialized equipment and materials, fund professional coaches and support staff and supplement program costs for participants. In 2012, Fazzari created BirthdayBack to use his birthday to raise money for people, communities and organizations in need. Past recipients have included Long Beach East Elementary School, which was devastated by Hurricane Sandy, Nassau-Suffolk Services for Autism, the Wounded Warrior Project, The Interfaith Nutrition Network and The DeRosa Foundation for Colon Cancer Research. In 2016, Fazzari received the Leaders of Tomorrow Award from the Long Island Chapter of the Association of Fundraising Professionals. “Rock ‘n Row” marks Fazzari’s sixth annual BirthdayBack. Read more about his movement atwww.birthdayback.com. The “Rock ‘n Row” event will be held on Feb. 3 from 5 to 6:30 p.m. at NXT GEN Fitness located at 2 Channel Dr., Port Washington. This event is open to all rowers and non-rowers and anyone that wants to support the teams, bands and charity. There will not be a cover charge. Several years ago we made the acquaintance of a darling young man named Tyler Fazzari. Tyler arrived at NSSA, shortly after celebrating his 10th birthday, to donate almost $1000 that he had raised for us through his organization BirthdayBack. BirthdayBack is dedicated to inspiring people to use their birthdays as an opportunity to give back. It started with Tyler’s desire to help the victims of Hurricane Sandy and has since developed into something much greater. Since starting the organization, Tyler and BirthdayBack have raised over $50,000 for various local organizations! In recognition of his generous achievements, we nominated him for the “Leader of Tomorrow” honor at Long Island’s Association for Fundraising Professional’s Annual Philanthropy Day. We were so pleased and proud to hear that he would be the recipient of the award! We would like to share Tyler’s good news and to say THANK YOU again for all that he has done for NSSA, and for so many others. We are deeply grateful for Tyler’s friendship. At this time of year, we remember all the people and organizations that have been a friend to us by making a donation, raising money on our behalf, volunteering at an event, or spreading the word about NSSA and autism awareness. We are so thankful and grateful for the wonderful people who support our organization and mission. Happy Thanksgiving to all of our friends! Please join us on 12/4 @ 3:00pm for an afternoon of music to benefit the De Rosa Foundation for Color Cancer! Tyler Fazzari has a big heart. When Hurricane Sandy tore through Long Island, forcing his great grandparents out of their home, he wanted to make a difference and created “BirthdayBack.” Instead of gifts, guests were asked to make donations to Long Beach’s East Elementary School. Tyler raised over $20,000, including a donation of a SMART Board. In 2013, Tyler “BirthdayBacked” Nassau Suffolk Services for Autism, raising almost $1,000. In 2014, Tyler invited his entire fifth grade class to support The Wounded Warrior Project. More than 100 kids raised over $3,000 and WWP named Tyler a Student Ambassador. For Tyler’s twelfth birthday, he raised more than $30,000 in much-needed products and monies for The INN (Interfaith Nutrition Network). 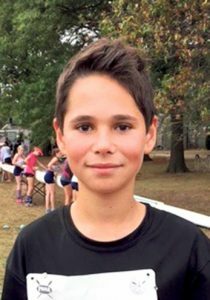 A Port Washington student who uses his birthday as an opportunity to raise money for those in need is being recognized for his generous efforts. Tyler Fazzari, a seventh-grader at Carrie Palmer Weber Middle School, was selected to receive the 2016 Leaders of Tomorrow Award from the Long Island Chapter of the Association of Fundraising Professionals for “making philanthropy an integral part of his life,” the organization said.Since 2012, Tyler has raised nearly $15,000 through his program, called “BirthdayBack,” for various charities, including the Nassau Suffolk Services for Autism, the Wounded Warrior Project and The INN, or Interfaith Nutrition Network. He also received donations of a SMART Board for East Elementary School in Long Beach after superstorm Sandy and about $30,000 of Pharmapack feminine products for The INN. He is planning a Dec. 4 fundraiser in Port Washington featuring 13 music acts to benefit The De Rosa Foundation in Manhasset, which promotes colon cancer research. Tyler also plays guitar in his school’s jazz band and is involved in Port Rowing, a community-based rowing program. The DeRosa Foundation Thanks, Tyler Fazzari! 1010 Wins interviewed Tyler today! He was chosen as one of their “50 Heroes” in celebration of their 50th Anniversary. What an honor! Surely a day he will never forget. PORT WASHINGTON, N.Y. (CBSNewYork) — Most kids love getting presents on their birthday, but one Long Island boy is forgoing them in an effort to help Superstorm Sandy victims. Tyler Fazzari, who will be turning 9, has asked his friends to donate money and gift cards to help Long Beach Public Schools buy a new Smart Board. “Some people can bring in, like, Home Depot gift cards to help rebuild everything,” Fazzari told 1010 WINS’ Jim Powers on Wednesday. “Since, like, I have a lot of stuff and I feel bad for the people who don’t have these things. So I just decided that I would want to help them,” he said. Once his party is over, Fazzari will personally hand deliver the donations to the the school. Fazzari’s mother, Erica, said Tyler loves to read and play with his friends, and called him an amazing kid. “His heart is bigger than his body,” she said. For his 11th birhday, Tyler Farazzi asked his friends to skip the gifts and donate instead to The Wounded Warrior Project. He collected $3,500. Pat Battle has the latest installment of The Good Fight.